Reports are spreading that St. John’s is leaning towards choosing Tim Cluess, the 60-year old Iona coach, to be its next head basketball coach, replacing Chris Mullin. But, not Rick Pitino. Cluess, 60, could tell recruits he’ll be there at least until their sophomore season or until his first social security check arrives, whichever comes first. Cluess is a nice guy. He’s been a good coach for mid-major basketball programs who probably deserved his shot at major league college basketball (defined as lots of tv games in a power conference, like the Big East USED TO BE) many years ago. One wonders why that opportunity didn’t present itself then, or, why he didn’t pursue it. In any event, Cluess is a bad choice for any long term goals St. John’s may have for its basketball program. If winning is your thing, and the coach’s age doesn’t matter, you pick the very best and most available college coach in America, Rick Pitino. 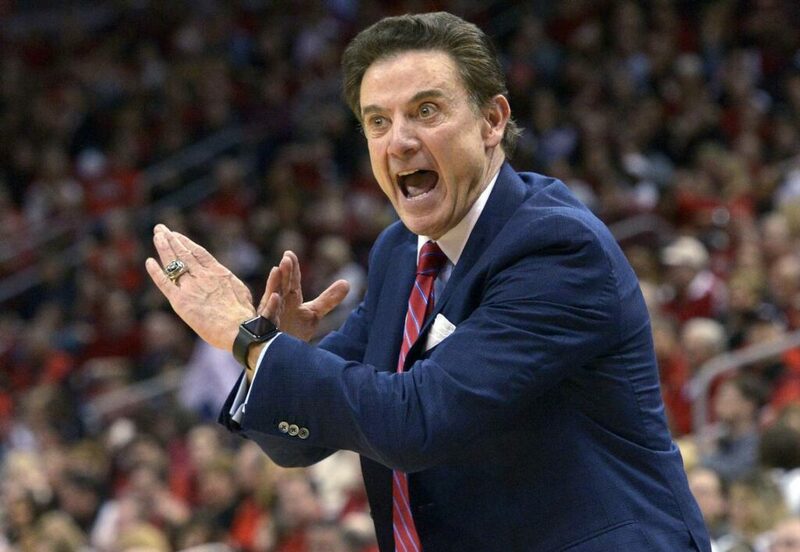 Pitino, with New York roots, is a youthful 66-year old from Long Island who never lost his New York accent. His name and his track record of National Championships at Louisville and Kentucky would bring 5-star players to do their one-and-dones or two-and-dones on the biggest stage, in New York City and Madison Square Garden. There are growing numbers of college head coaching jobs opening up as we speak. Pitino will get one of those jobs because he owns a .740 win percentage (770-271), ranks fifth all-time in NCAA Tournament history with 54 wins, sixth among coaches with seven Final Four appearances and has won two National Championships. He is also the only coach in college basketball history to take three teams to the Final Four (Providence, Kentucky, Louisville) and win championships with two different Division I schools (Kentucky and Louisville) But, for St. John’s and any other school considering him, he will change the basketball culture of those schools, change the financial structure, and will raise the national profile of a struggling program, as well as immediately bring in 5-star athletes. Under Pitino, it is easy to imagine St. John’s getting to the Sweet 16 by year two, after he has had a few months to recruit the best high schoolers in the country. And, appearing in the Elite 8 by year three, all the while putting fannies in the seats at a packed Madison Square Garden for every game, making money. They’d be getting the back pages of the tabloids in town (if that’s still a thing), and re-generating interest in the struggling brand known as The Big East Conference, a conference which used to be known for its legendary coaches. What about the future, scream the Pitino nay-sayers, if they hire an old coach like Rick Pitino, 66, who isn’t that much older than Tim Cluess? Why not bring in Richard Pitino, Rick’s son, currently the very successful head coach of the Univ. of Minnesota. St. John’s always priding itself on its “family” within the athletic department, could put its money where its mouth is, by bringing in a great young coach who happens to be in Pitino’s family. Pitino seems like a perfect fit. That’s if you want to win basketball games. Tim Cluess, at 60, would have been a nice hire for St. John’s a decade ago, when he was 50. He’s been a successful mid-major coach with an excellent track record winning games with two-star players up in New Rochelle, New York. Cluess can be a steady presence for a few years, too, if that’s what St. John’s truly believes it needs. A nice, solid, steady, sleepy presence in New York City, which ain’t New Rochelle. Will five-star high school players come to St. John’s, located in Jamaica, Queens, just so they could play for Tim Cluess? Nope. Would they come to play for Rick Pitino at St. John’s?